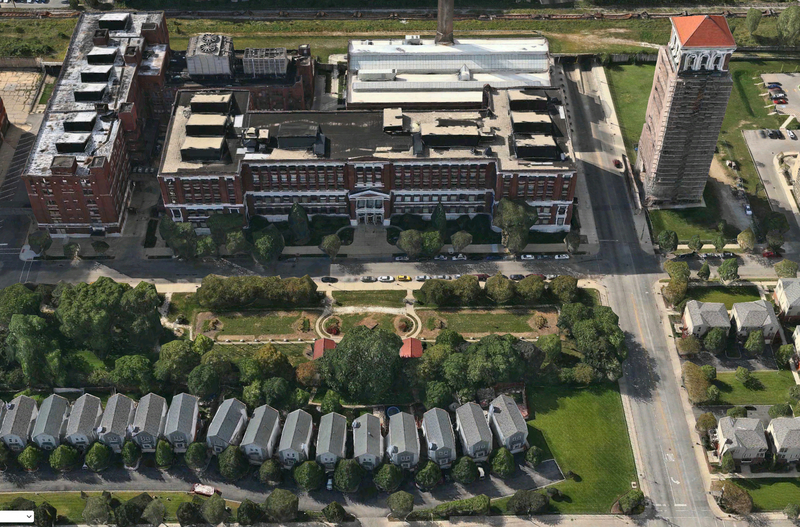 A Trip Through Sears Roebuck & Co.
① Merchandise Building, ② Tower, ③ West Wings of Merchandise Building, ④ Administration Building, ⑤ Advertising & Printing Building, ⑥ Grocery Annex, ⑦ Paint Factory, ⑧ Wall Paper Mill, ⑨ Factory No. 1, ⑩ Power Plant. Chicagology is proud to present the entire set of the fifty stereoscope cards that were sold to flaunt Sears’ new Homan Avenue campus. 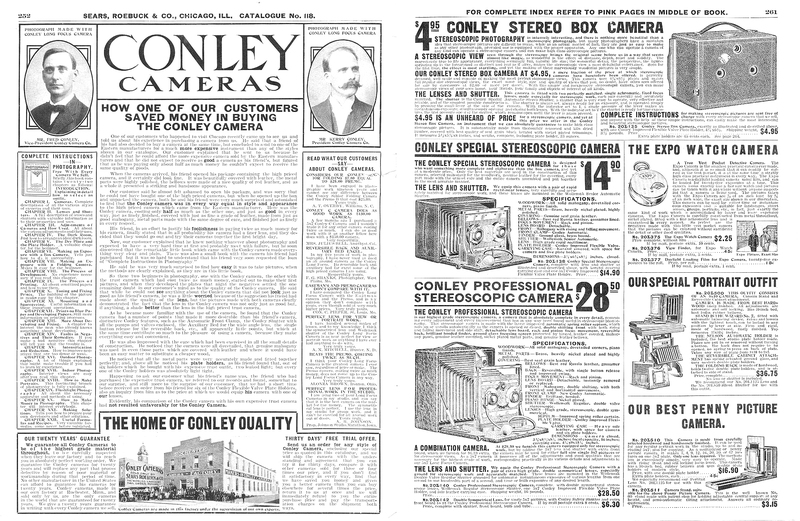 It is believed that the photos were taken by Fred Conley and James Drake, vice president and general manager, respectively, of the Conley Camera Company, a supplier to Sears. 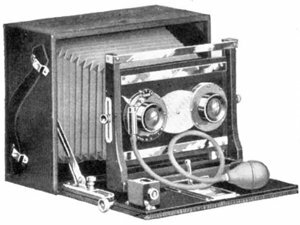 One of the stereo cards from this series is used in later catalogs as an example of an image made with a Conley Model XVIII stereo camera (right). It is known that Conley and Drake traveled to Sears headquarters in Chicago in October, 1906, shortly before this series was released. 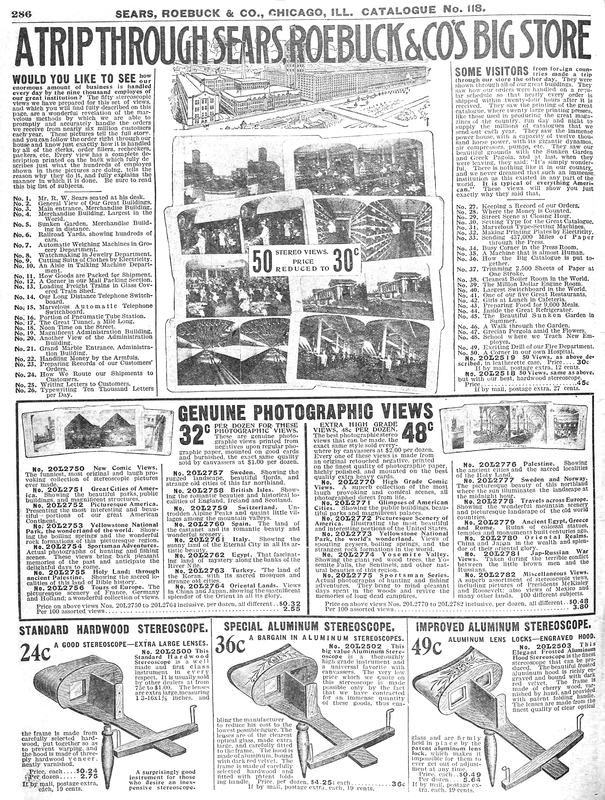 The cards were first advertised in the 1908 Fall Catalog No. 118 (see page below). 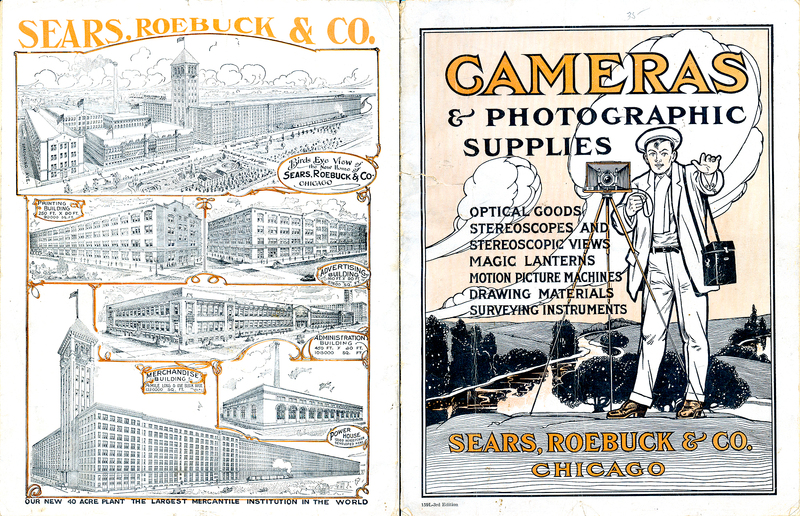 Cameras & Photographic Supplies, Sears, Roebuck & Co.